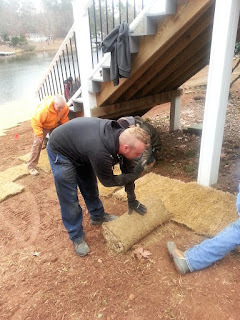 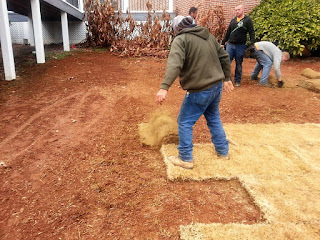 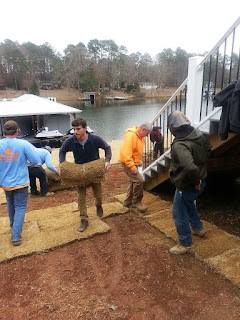 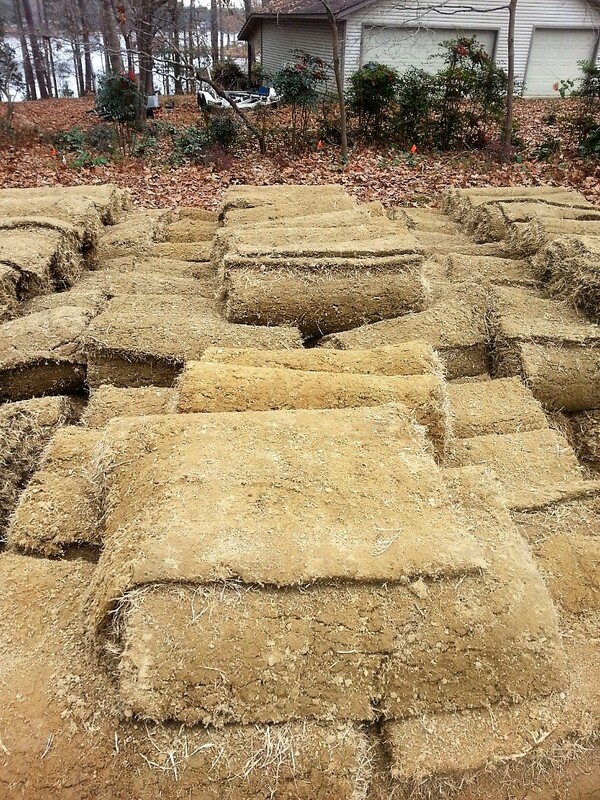 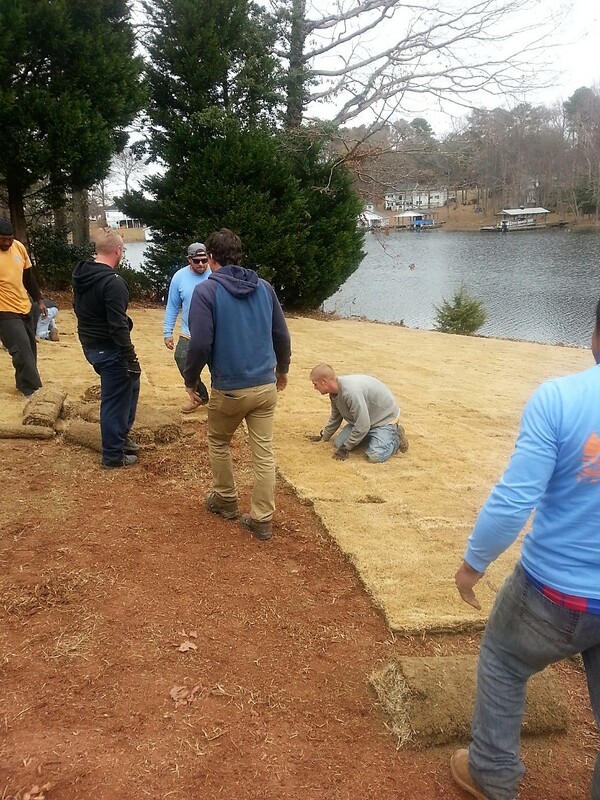 What does it take to install 40+ pallets of sod in an afternoon, including initial prep of the grounds? 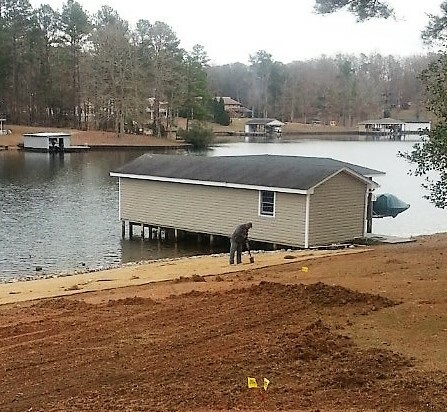 Literally, it takes every single…body…available. It also requires everyone working quickly and efficiently, and most of all, working hard. 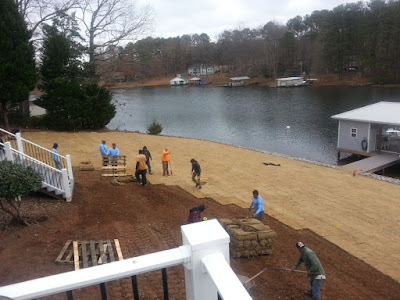 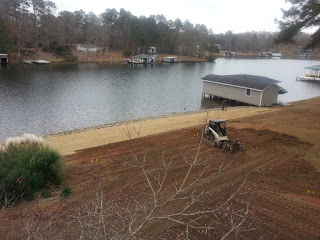 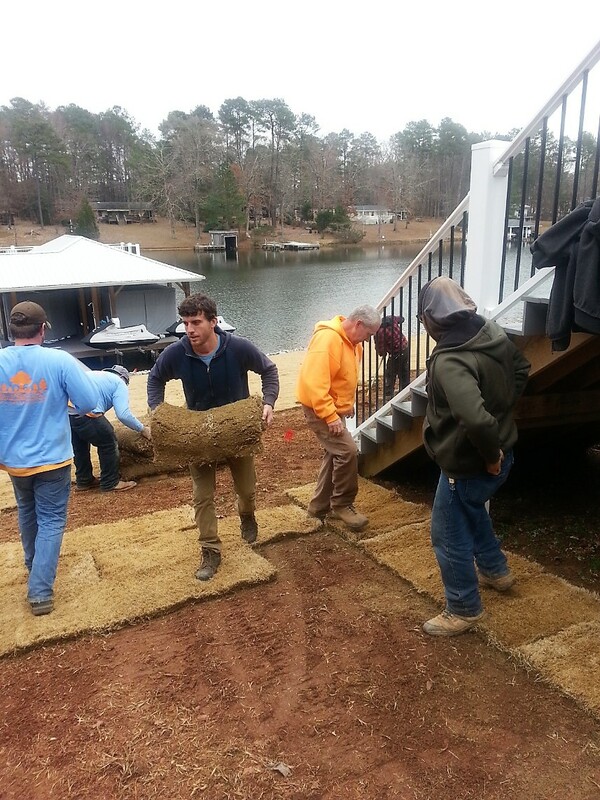 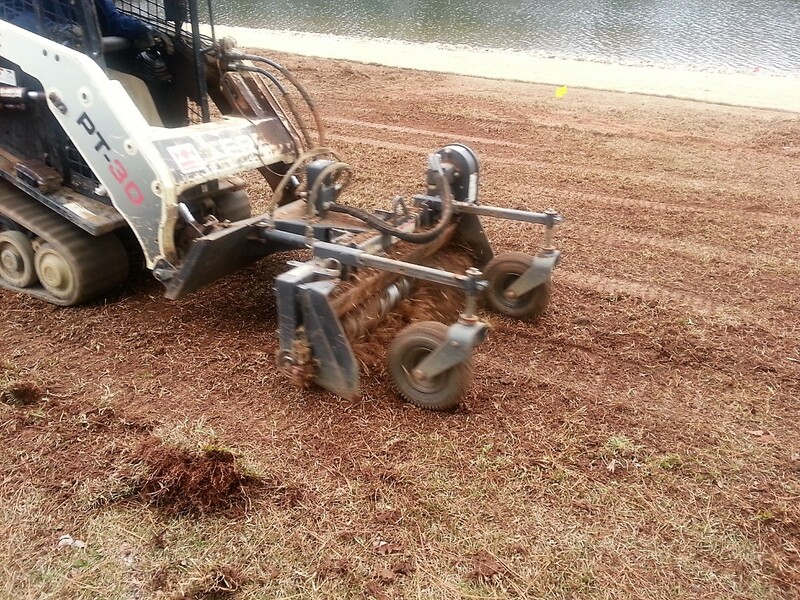 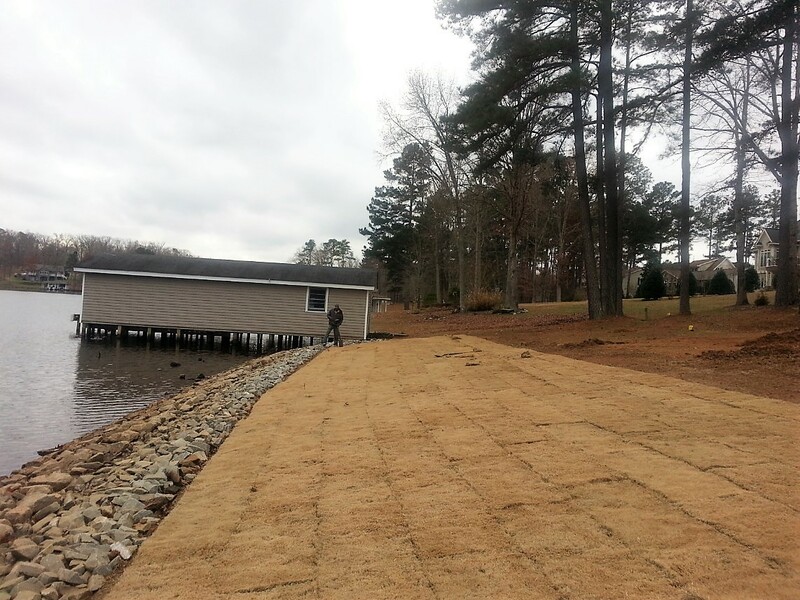 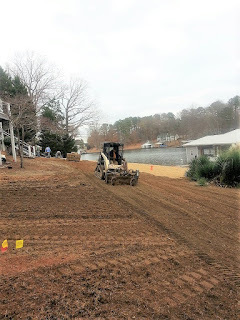 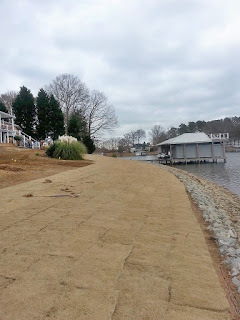 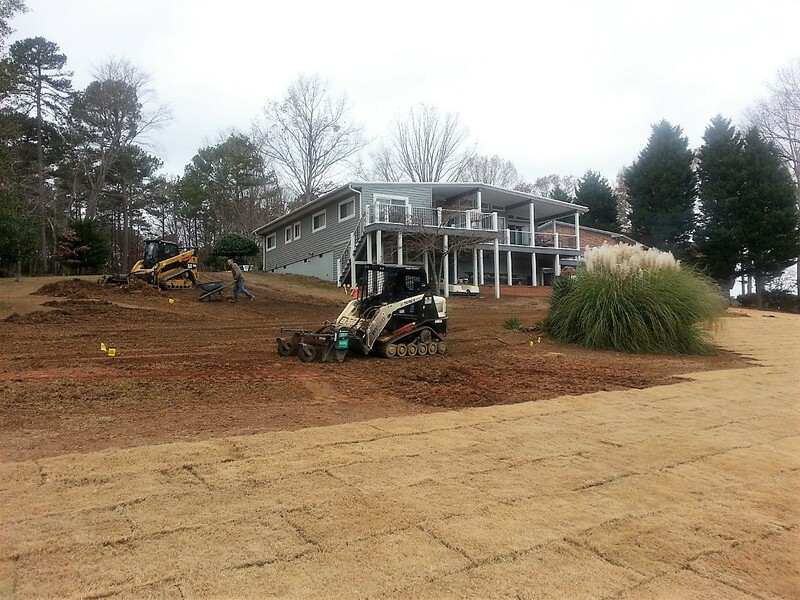 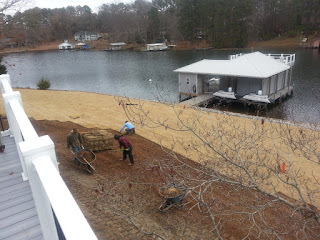 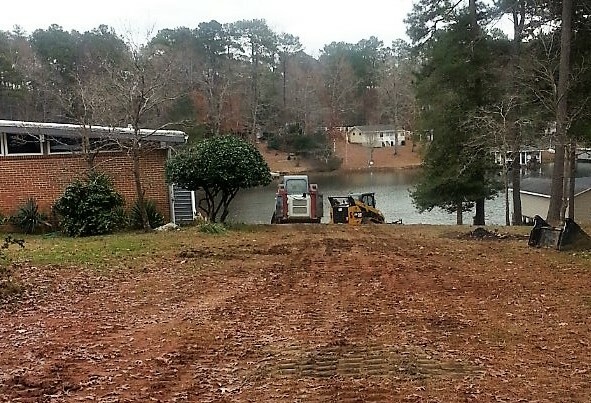 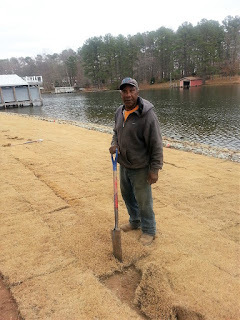 That was Ben’s Creek Nursery installing lakefront Bermuda grass. 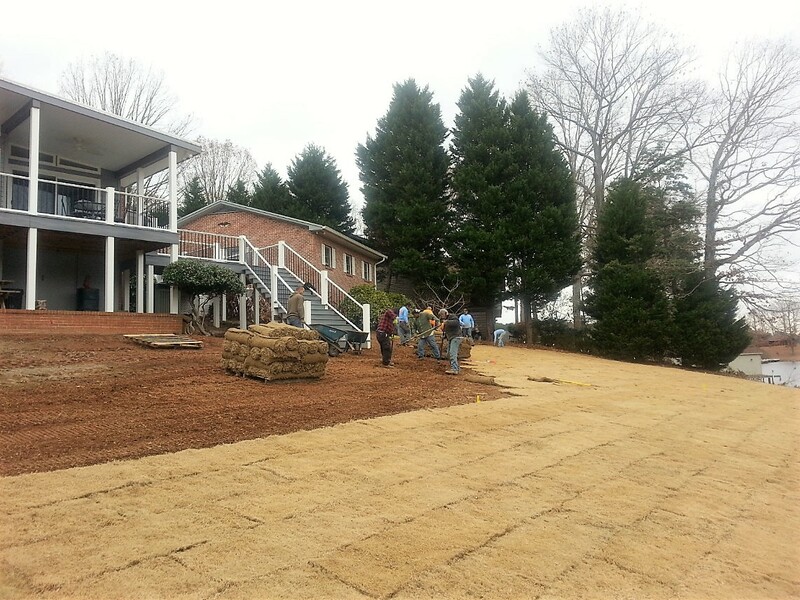 Bermuda grass is one of the most popular southern grasses. It is extremely tough and resilient, disease and weed resistant, drought tolerant, and a fast grower when the sun shines. 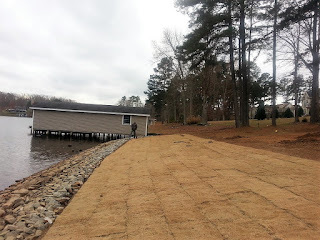 The grass you see here is in its normal winter dormant mode, conserving resources in preparation for Spring green. 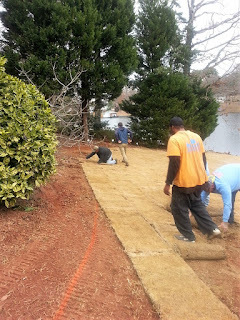 Even so, it will provide a sturdy ground cover throughout the Winter months. 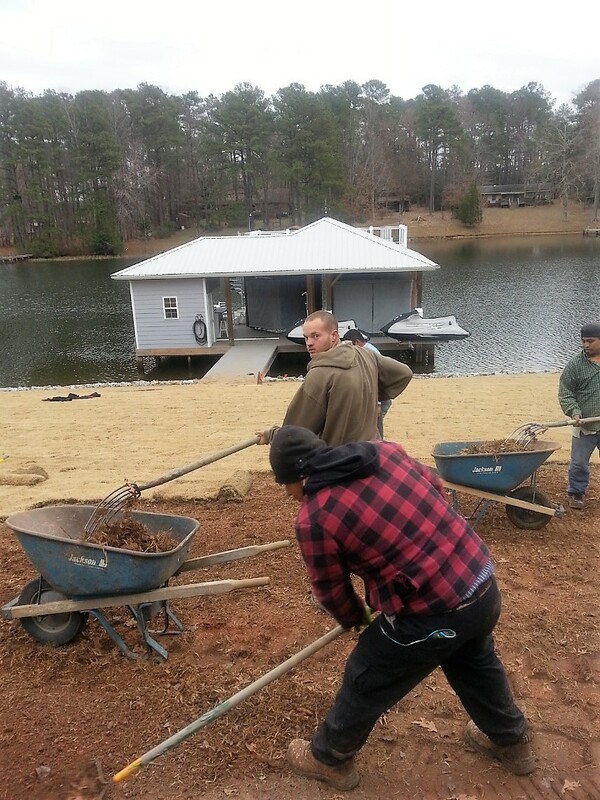 Here is a picture of our crews, swarming to the task. 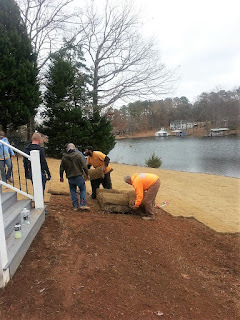 Then comes the unfolding of the sod. 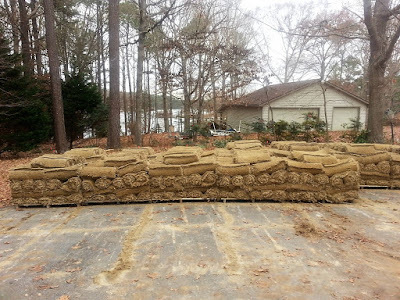 This sod came in rolls, each a couple of yards long, which are unfurled and spread on the ground. 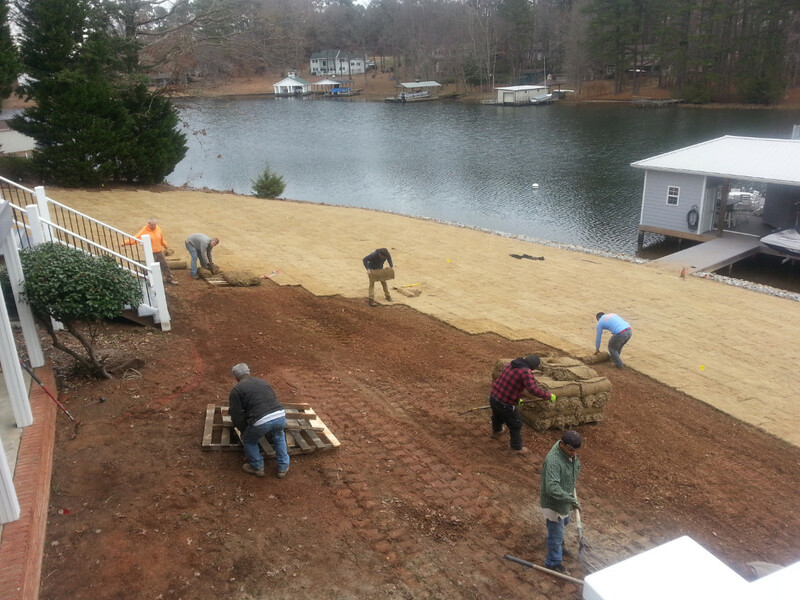 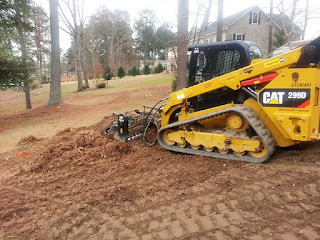 While most are lifting and spreading, some continue prepping the ground …. 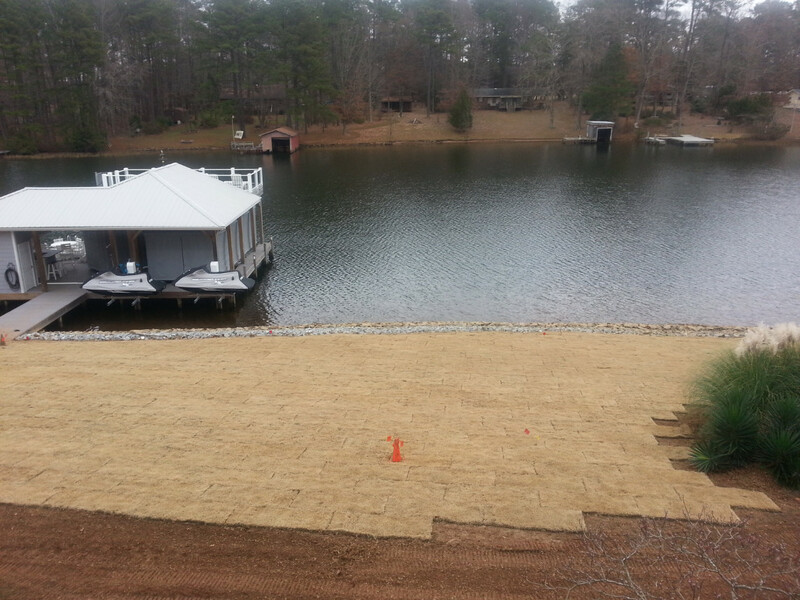 And, here are the finished photos. Train up the grass in the way it should grow, and when it is old it will not depart from it. 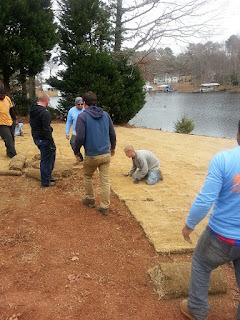 Training up the grass; that’s as good a summation as any of what our guys were all about. We can do the same for your grass – and your gardens, too – so call us today!